I'm a huge eyeshadow hoarder and I can't help but get drawn to gorgeous palettes - This beautiful bright palette being no exception. I'd seen it a few times in Boots and always toyed with the idea of getting it, but found it this week in my local Poundland! Result! For a great price at a £1 I could not say no - And I wasn't disappointed. 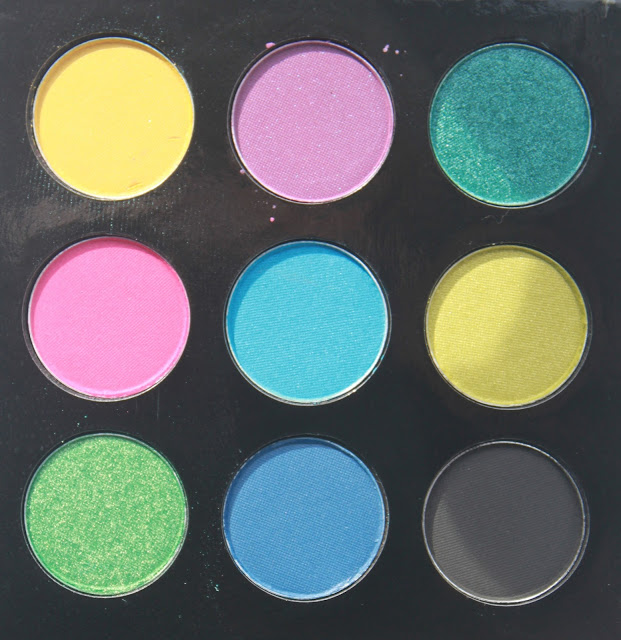 This bright palette had matte and shimmer mixes with some hits and misses. Without further ado, let's break down the colours. The first row and the first pan of the second row. The matte yellow is the first one in the palette and nothing to be wowed by. This looks bright in the pan but comes out on the eyes and swatched as a wash of yellow colour. However it does actually look quite nice on the eyes as a wash of pastel-like colour. Next we have another matte and this time it's a purple with slight and subtle blue shimmer. 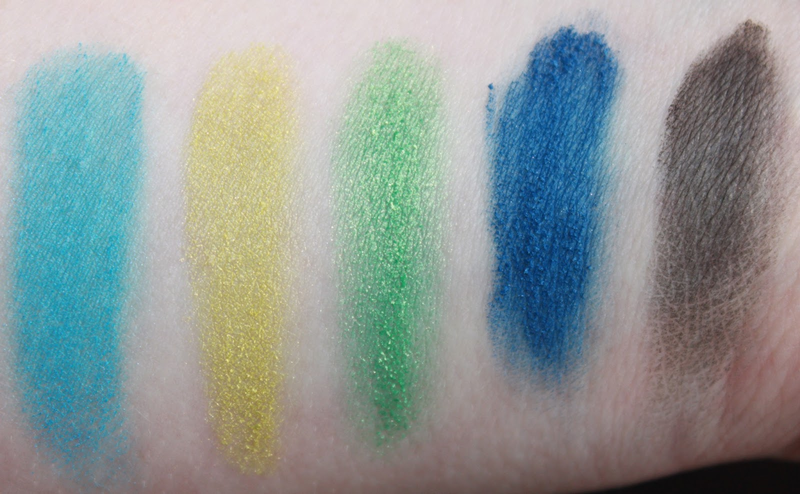 I really love this colour in the pan, but like the yellow it's very washy swatched. Next we have a gorgeous aqua teal shimmery colour which I cannot wait to use properly. It has amazing pigment and is no doubt a beautiful shade. We then have a pretty matte pink which is again not as pigmented. So far the mattes have been a miss. From the middle of the second row through to the end. This matte blue is stunning, and very similar in formula and colour to Mac's Electric Eel. It's super bright and looks gorgeous, and it so well blended. Another hit was the lime next to it which had a shimmer/matte look and feel. Again it has incredible pigmentation and is my favourite colour in the palette. I cannot wait to show this colour off in spring and summer! We then have a shimmery green which is average. It has decent pigmentation but it's not great. The dark matte blue is incredible. It has AMAZING pigmentation and blends like a dream. I was so excited by this, and appears like a darkened version of Chaos from the Urban Decay Vice Palette. Then we have the matte black which you can see isn't very black. It's not something I'll use as there's hardly any colour to it. I'd rather have had a matte red or deep purple, but it was a good idea if it was executed well. So there we have it! 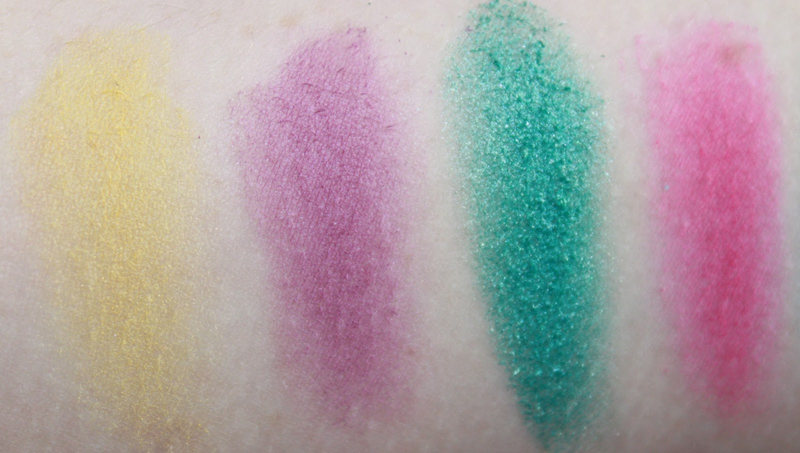 The Poptastic palette reviewed and swatched. You can pick it up on the Collection 2000 website for £4.19, but as I said, I got mine from Poundland. And have you had any Poundland bargains? i have this palette and have never actually used it very often but seeing this fantastic review has made me definitley want to use it more, keep up the good work, your blog is brilliant! I also had a poundland bargain i picked up a Rimmel London palette in 740 Fever and i also picked up a Revlon Lip Glide!